Plant Kraft was one of two power generating plants on the Savannah River. Plant Kraft is in the Port of Savannah and about eighteen miles upriver is Plant McIntosh. Both are owned by Southern Company/Georgia Power. Three of the four boilers at plant Kraft are coal burning, the fourth burns oil or natural gas. Plant McIntosh primarily burns Coal and Natural Gas. 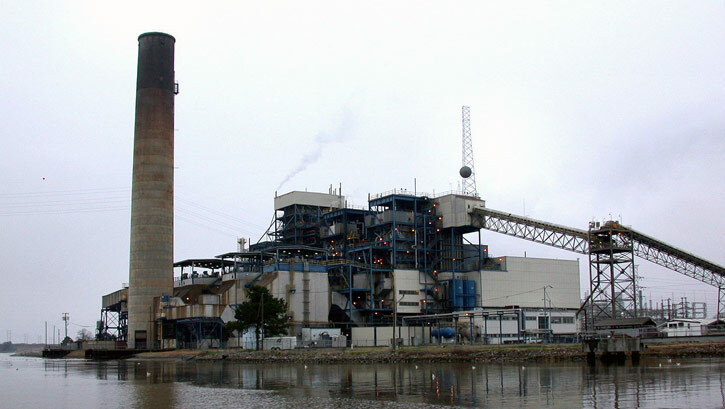 This plant was shut down in late 2015 and is being demolished by The Southern Company. The land has been donated to the Georgia Ports Authority for future development as a terminal. Demolition as been completed as of 06/30/2017.